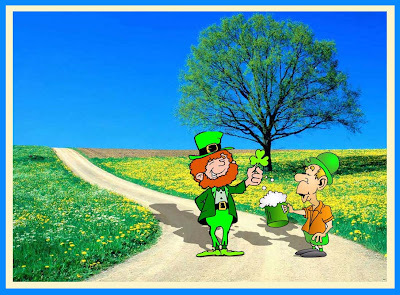 Here are more statuses updates idea about Saint Patricks day to post on Facebook wall to be shared with your friends, or you may celebrate it with the family. St. Patricks day is special day for all Irish arround the world, and may you all enjoy this celebrations. Happy St. Patrick’s Day!! A grand day it is.. don’t have to be good, by any gifts..pinching is acceptable and you can drink till you’re green! <3 being IRISH!!! ‘An a g’d nite t’ ya all, I’m off t’ play wit’ d’ Leprechauns, in d’ land o’ nod! Irish today , Shitfaced tonight , hungover tomorrow ! On the eighth day God created whiskey to keep the Irish from taking over the world…Happy St. Patricks Day! Knock knock Who’s there? Irish Irish who? Irish you a happy st.patty’s day!! On St. Patrick’s day I feel OK being short. May your blessings out number the shamrocks that grow. It’s March. I’m Irish.And I’m SOBER ~ What’s wrong with this picture?!? is sick of all the Irish stereotypes! As soon as I finish this drink, I’m punching someone! Make sure your kilt is short enough to do a jig BUT long enough to hide your Lucky Charms!! St. Paddy’s Day toast: Here’s to you and here’s to me, the best of friends we’ll ever be, if ever we should disagree then F@C& you and here’s to me! Here’s hoping the wind at your back doesn’t come from the corn beef and cabbage you had for lunch. Happy St. Patrick’s Day! Erin Go Bragh~As you slide down the banister of life, may the splinters never point in the wrong direction. Happy St Patrick’s day!